Baseball Fan: I'll knock your block off, you big stiff! You're a bum! 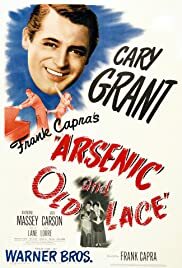 Q: Any recommendations for other comedies similar to "Arsenic and Old Lace"? Q: Is there a name for Teddy's delusional disorder? Q: How closely does the movie follow the play? "Arsenic and Old Lace", one of the best stage comedies that were seen on Broadway, gets the royal treatment via Frank Capra, a man that was born to direct the movie version, if ever there was a man to do so. The play written by Joseph Kisserling was given an excellent screen play treatment by the Julius and Philip Epstein team, two great movie adapters of all time. This is a combination of a madcap and a screwball comedy. The first best thing in the film are the star turn performances by two of the original actresses that created the roles of Aunt Abby and Aunt Martha, Josephine Hull and Jean Adair, respectively. Just to see the Brewster sisters in action is worth the price of admission. These two women had the roles of a career by bringing life into the two kinds souls living in Brooklyn and doing good, as well as "helping lonely old men" to find happiness. The second best reason for watching the film is Cary Grant. 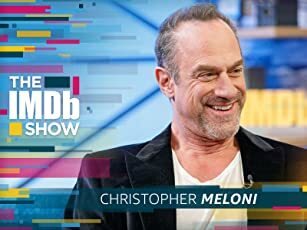 This is without a doubt one of the actor's best achievements in his long career in the movies! Mr. Grant plays Mortimer Brewster, a man that hates the idea of getting married and losing his freedom. That is, until the beautiful Elaine comes along. Mr. Grant is a joy to watch in the film, no matter what he is doing, at any given moment. His expressions, as well as his timing is impeccable, something one expects of all of Mr. Capra's movies. The Brewster household is the center of the action, but for a stage play, it never seems confining, or theatrical, even though it's basically shot in one single set. This appears to be the Brooklyn area near the Heights where one can see the majestic bridge in the distant. Maybe around Old Fulton Street, or that area, where the River Cafe is located now. Mr. Capra was able to assemble such a wonderful group of the best actors working in movies. Lovely Priscilla Lane is the woman that conquered Mortimer's heart. Raymond Massey is Jonathan, the Dracula-like sinister figure that is Mortimer's brother. Also, John Alexander, is seen as "Uncle Teddy", the man with a Teddy Roosevelt's complex. Peter Lorre makes a good contribution as Dr. Einstein. Jack Carson and John Ridgley are seen as the police working the area where the Brewster live. The supporting players are amazing: Edward Everett Horton, Garry Owen, Grant Mitchell, James Gleason, and although seen briefly, the great Charles Lane, who is one of the photographers pursuing Mortimer and Elaine when they are getting the marriage license. Mr. Lane appeared in hundred of films and is still alive, 100 years young! In a way, it's ironic Mr. Lane survived almost all the people in the film! An excellent film by that American master, Frank Capra! 63 of 80 people found this review helpful. Was this review helpful to you?